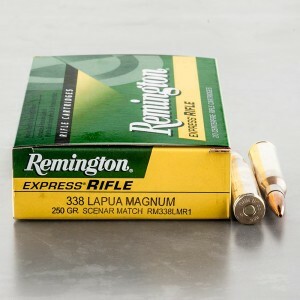 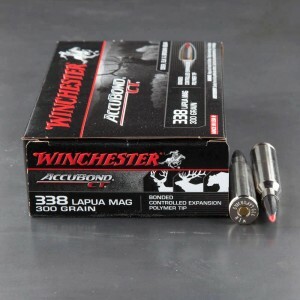 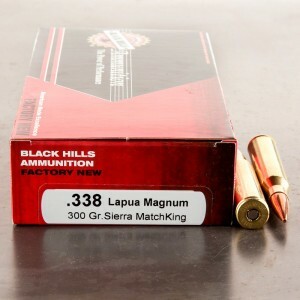 .338 Lapua Magnum ammo is a .34 caliber, bottlenecked, rimless, centerfire, rifle cartridge that was specifically designed for use as a long-range, military, sniper's round for both anti-personnel and anti-materiel purposes. 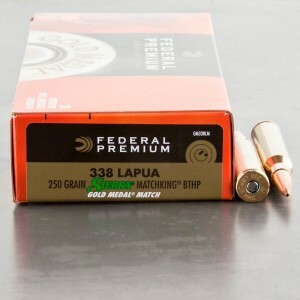 Developed by the U.S. company Research Armament Industries in 1983, the .338 Lapua Magnum cartridge started life as .416 Rigby case necked down to accept a .338 diameter bullet and the cartridge was later commercialized in 1989 by Lapua. 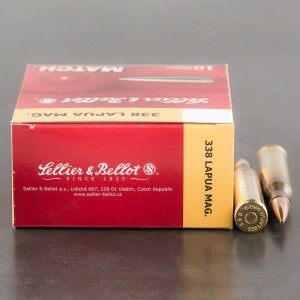 However, initial testing of the new cartridge showed that the original .416 Rigby case was unable to contain the required chamber pressures due to the U.S. Military's stipulation that the cartridge be capable of launching a 250 grain bullet at 3,000 feet per second which generates 4,893 foot-pounds of muzzle energy. 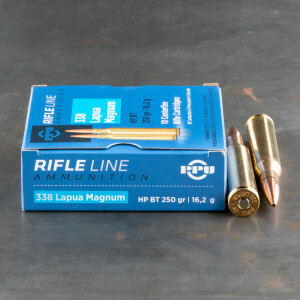 Therefore, RAI contracted Brass Extrusion Labs Ltd. to create new brass but, unfortunately, the new cases did not meet the required specifications and thus, the project was eventually dropped due to RAI's inability to procure suitable cartridge cases. 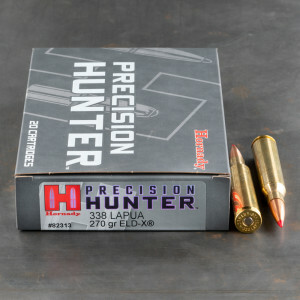 Consequently, the current cartridge was redesigned in 1989 and is the result of collaboration between British rifle manufacturer Accuracy International, Finnish rifle manufacturer Sako, and Finnish ammunition manufacturer Lapua to specifically meet the stated military requirements. 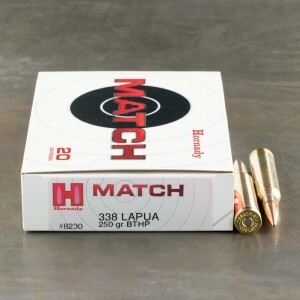 Hornady makes some of the best ammunition out there, if you consistently buy the same Hornady round and grain weight, it will be pretty damn exact as the last batch you purchased. 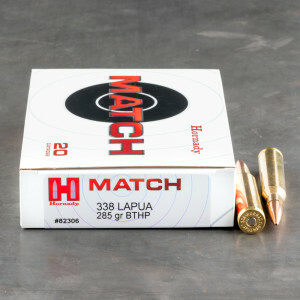 Setting up an AR30A1, I used Blackhills 338 250 grains to site in at 100. 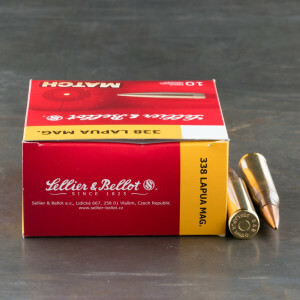 The accuracy and precision of the bullet was exceptional. 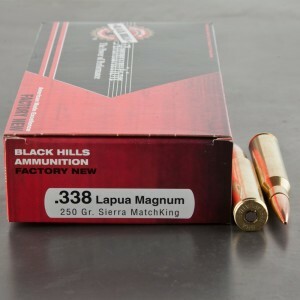 Part of an order placed on line on a Saturday. 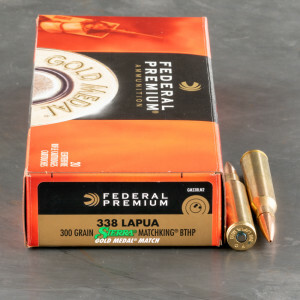 My review of the S&B 250 grain applies to this also.